【Premium Quality】Materials: Stainless Steel Body/14-ounce capacity/ Plastic Handle and Base/ Rubber-Lined Plastic LidDouble-Walled Stainless Steel Helps Will Keep Your Drink of Choice Hot. 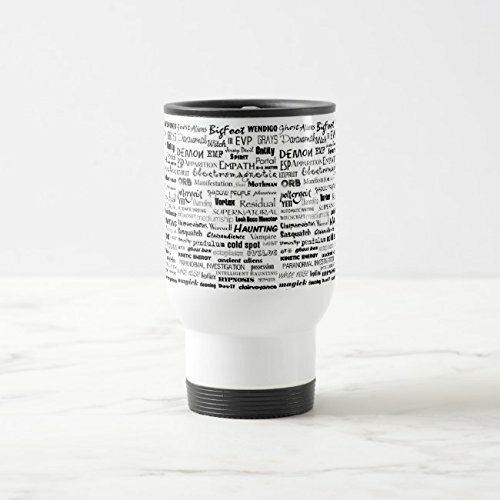 【Creative Design】Creative Travel Mug, Pattern is Colorful and not Easy to Fade, Non-Toxic and Harmless, Reaching Safety Standards. 【Wash Care】Do not Use in Dishwasher or Microwave, Hand-Washing is Preferable. 【Delivery】Don't Worried About the Damage to the Cargo Transportation Process,Our product Packaging is Absolutely Safe and the Cup is not Damaged. 【Our Promise】High Quality Product, Great Customer Service are Our Promise.If You have Any Problems,Please Feel Free to Contact Us,We'll Get Back to You within 24 Hours. If you have any questions about this product by Feddiy, contact us by completing and submitting the form below. If you are looking for a specif part number, please include it with your message.